What a feel-good day it was filming this episode! 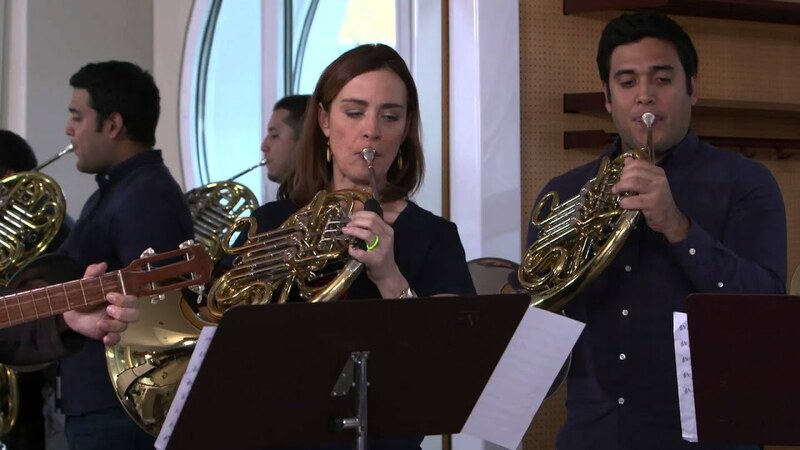 We feature the wonderful horn section of the Simón Bolívar Symphony Orchestra of Venezuela, who were on tour in Europe playing sold-out concerts under their music director Gustavo Dudamel. I had never met any of the horn players before but thanks to our digital age, had been in touch with them via Facebook. So when we finally met face to face at the Philharmonie in Berlin it was like meeting old friends. This orchestra, all trained in the music education programme ‘El Sistema’, is so full of positive energy and you can really sense that they absolutely love what they do. They play with such passion and such precision, it was a pleasure to be around them all day and to also enjoy their concert. Our live Horn Hangout was a huge success, with around 2000 live viewers tuning in from South America to Sri Lanka, from Japan to Australia. Incredible! 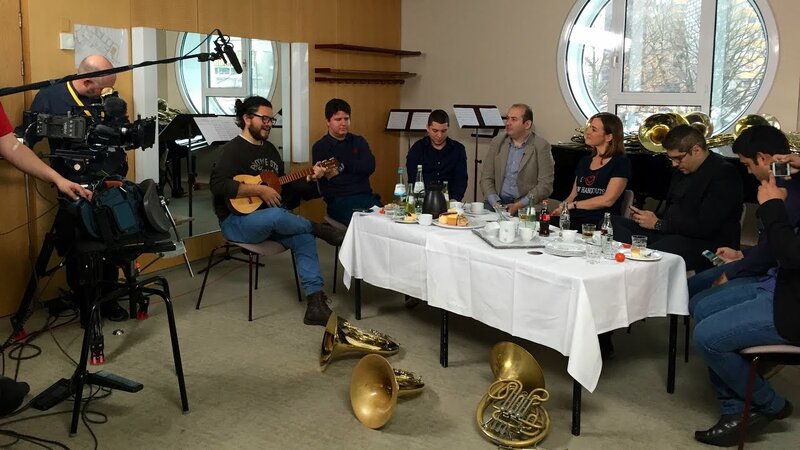 The guys were so much fun to interview and I loved playing with them in an arrangment of typical Venezuelan pieces arranged especially for the Horn Hangout by Luis Alberto Castro. I adored being Sarah-naded by Leo Melgarejo on his cuatro (now my cuatro, gracias Leo!) and a huge thank you to José José Giménez for all his help in organising everything. I hope you have as much fun watching this episode as we had making it. I can’t wait to take Sarah’s Music to Venezuela to film with these guys again!